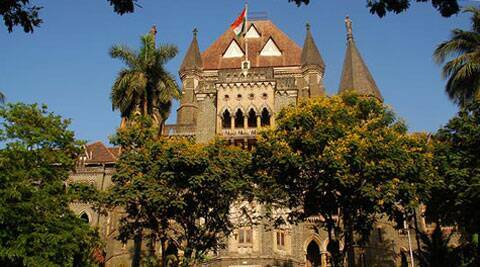 Bombay HC order on disclosure of religion expands individual’s freedom to choose. Freedom of religion and conscience includes the freedom not to believe. And given the fundamental right to freedom of speech, a person is allowed to say she is an atheist. In 2009, a young couple in Mumbai, Aditi and Aalif, decided that they would not impose a religion on their child. But the municipal corporation refused to give them a birth certificate till they filled in the column on religion. There were four options: Hindu, Muslim, Christian and “other”. There was no “no religion”. Ultimately, they ticked “other”. The Bombay High Court recently held that government authorities cannot compel a citizen to disclose her religion. Ranjeet Mohite and the others who filed the case belong to a registered organisation, the Full Gospel Church of God, which believes in the existence of Jesus but not in any religion. They argued that they should be allowed to say they have no religion on forms. Religion is not just theistic, the court observed. Jainism and Buddhism, for instance, do not believe in a supreme being. Freedom of religion and conscience includes the freedom not to believe. And given the fundamental right to freedom of speech and expression, a person is allowed to say she is an atheist. The state is secular and has no religion. It cannot, therefore, compel citizens to fit into one religion or the other. Based on this analysis, the court issued a direction to the state and the Centre not to compel individuals to declare or specify their religion. It also declared that every individual has a right to claim she does not belong to any religion. On the face of it, the judgment seems to state the obvious. But the relevance and importance of court rulings can only be realised by looking at the socio-political context. Thomas Jefferson famously said, “The legitimate powers of government extend to such acts only as are injurious to others. But it does me no injury for my neighbour to say there are 20 gods or no god. It neither picks my pocket nor breaks my leg.” But then he may have been an optimist. A 2011 survey found that 2.2 billion people worldwide followed Christianity, followed by 1.6 billion who believed in Islam. The next largest group, 1.1 billion people, comprised atheists and agnostics as well as those who were spiritual but did not believe in organised religion. People who believe in “no religion” are not a small minority. Historically, Indian secularism has been contested terrain. Internationally, there is no agreed-on version of secularism. In the US, for instance, students are allowed to display religious symbols, but France prohibits this in public schools. Turkey has gone a step further and prohibits the display of religious symbols in all educational institutions, public and private. There are no pan-India rules on this. But all the above-mentioned countries claim they are secular. This is for four reasons. One, they have no state-established religion. Two, the state is governed on secular, rather than religious, principles. Three, people enjoy freedom of religion and conscience. And four, there is no discrimination on religious grounds in state action. This does not mean that the state cannot step in to prevent discriminatory or harmful practices. The abolition of untouchability and the banning of sati are examples of this. At the same time, discriminatory personal laws still persist in India. In spite of these four principles, there are significant differences among secular countries. The US Supreme Court disallowed the displaying of the Ten Commandments in county court houses, for example. But in India, it is normal for inaugurations of government buildings to be preceded by the breaking of a coconut and other rituals identified with Hinduism. Satyanarayan pujas are routinely conducted in government offices, including courts and police stations. A few years ago, when an activist filed a case in the Gujarat High Court challenging the then chief justice of India partaking in religious rituals at the time of the inauguration of a new high court building, the petition was dismissed and substantial costs were awarded against the petitioner. In 1992, the Andhra Pradesh High Court dismissed a similar petition filed by the Atheist Society of India. Secularism is a contested concept, but it is disturbing when any expression of dissent from the mainstream discourse is seen as anti-national. India is a diverse and plural country. Attempts to hegemonise everything under one banner need to be opposed. In this context, the recent decisions of the Supreme Court on the rights of transgenders and the “no religion” judgment of the Bombay High Court come as a breath of fresh air. The recognition of plurality and the freedom to express views, have beliefs and live a life that is not necessarily seen as mainstream by the majority need to be celebrated.